The swirly tape leaves little to the imagination. 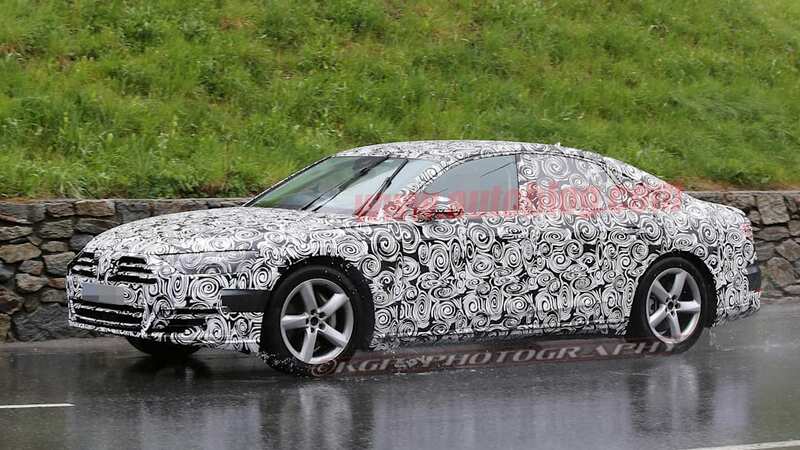 It's been a big week for Audi A8 news. 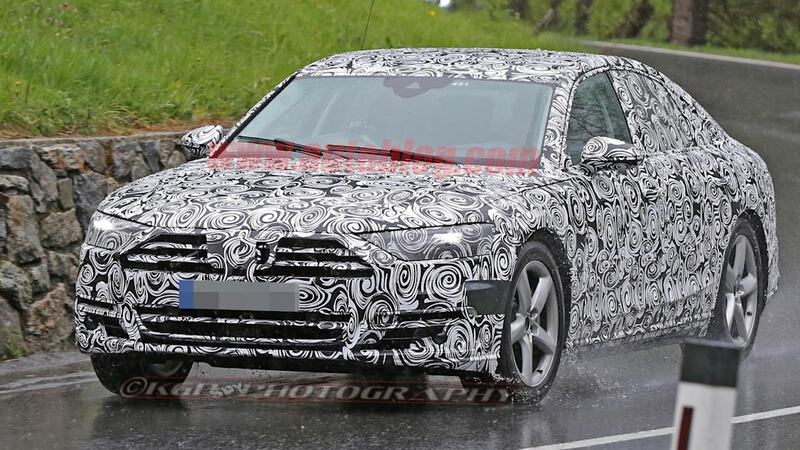 First tech boss Dr. Stefan Knirsch hinted at a range-topping rival to the Mercedes-Maybach S600, and just yesterday CEO Rupert Stadler confirmed that the next-gen car would be the first Audi with autonomous driving systems. 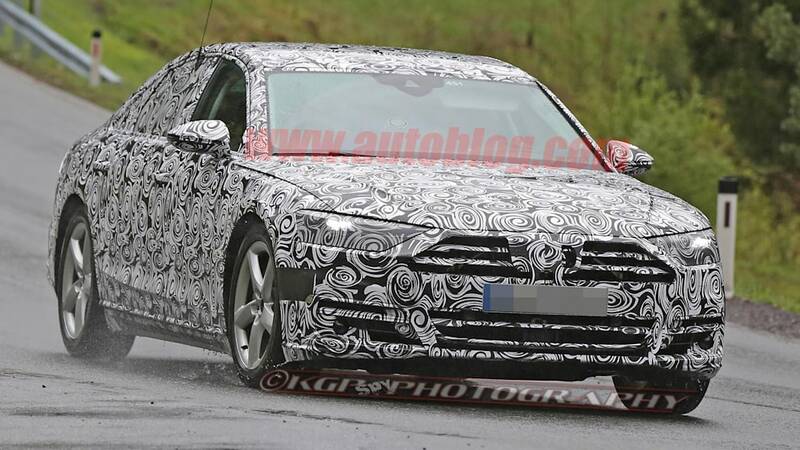 Now we have our first pictures of the new large sedan, which will be based on the VW Group's MSB platform. 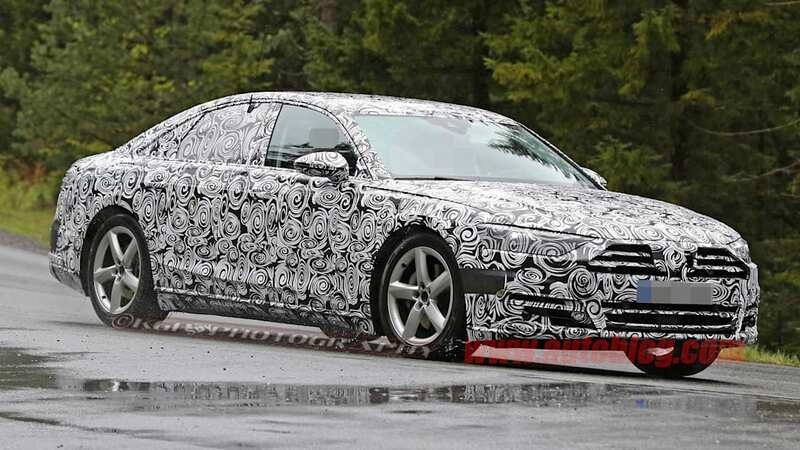 As expected, the 2018 A8 will take cues directly from the Audi Prologue concept, a large coupe that was first shown at the 2015 LA Auto Show. 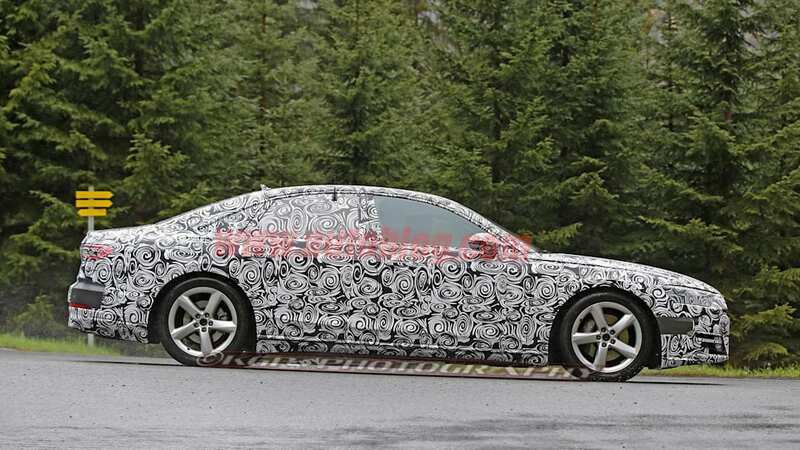 This new A8 is completely devoid of cladding, giving us a great look at its production-ready shape. 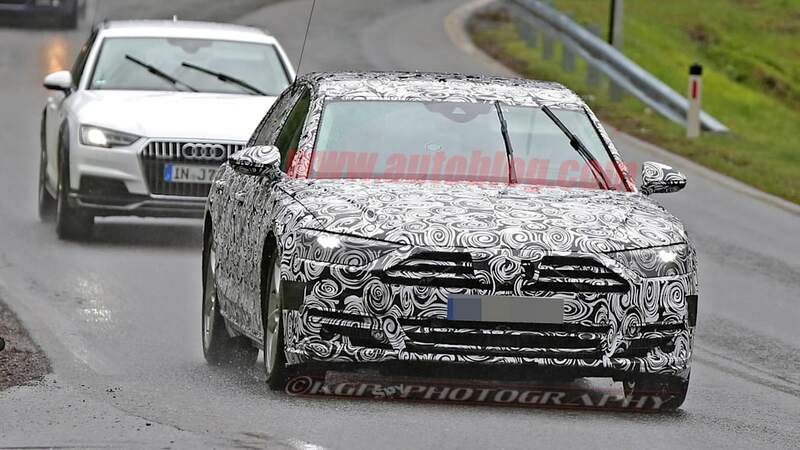 We can see the Q7's strong influence on the design, especially in front. 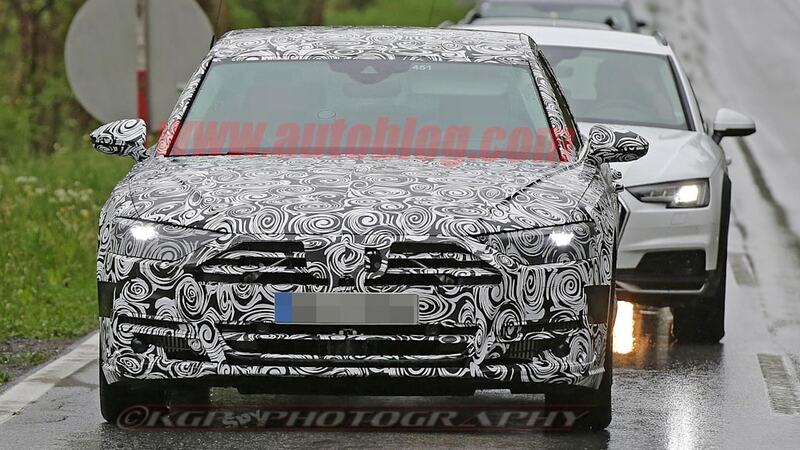 The fascia is home to a wide hexagonal grille and aggressively canted headlights. 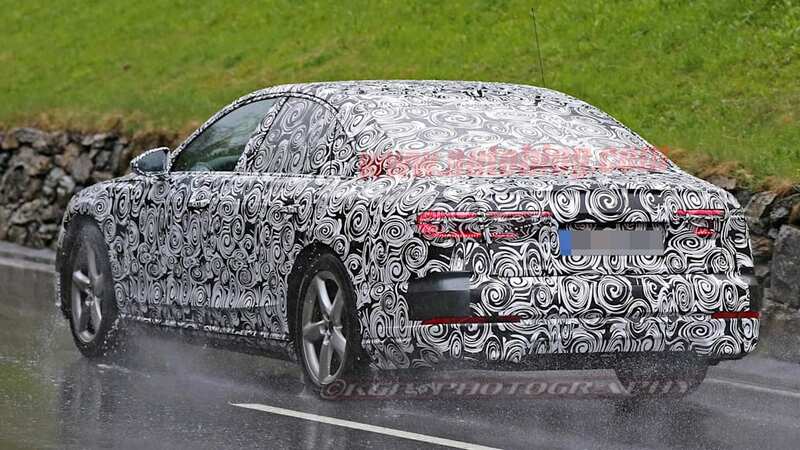 The taillights will likely be a similar shape to the Q7's, but the LED pattern is dramatically different – we can almost see individual elements on this A8, whereas the Q7 is more of a light-ribbon design. Overall, this is an attractive if somewhat anonymous look. 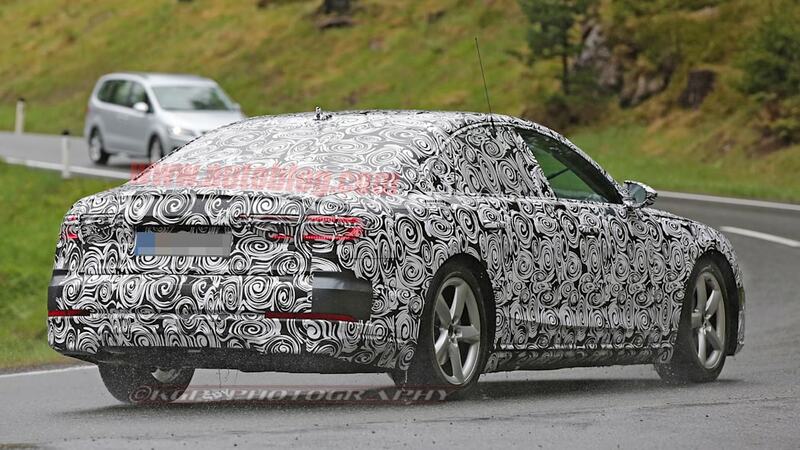 Our spies couldn't capture any shots of the cabin, but we do expect it to resemble the concept interior Audi showed earlier this year at CES, which featured an evolved version of the Virtual Cockpit system called Virtual Dashboard. 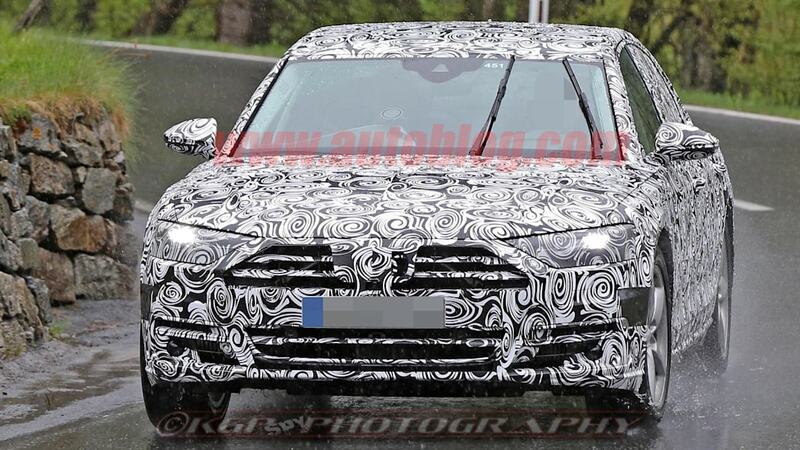 Not surprisingly, it looks like there's going to be a lot of room in the back seats. 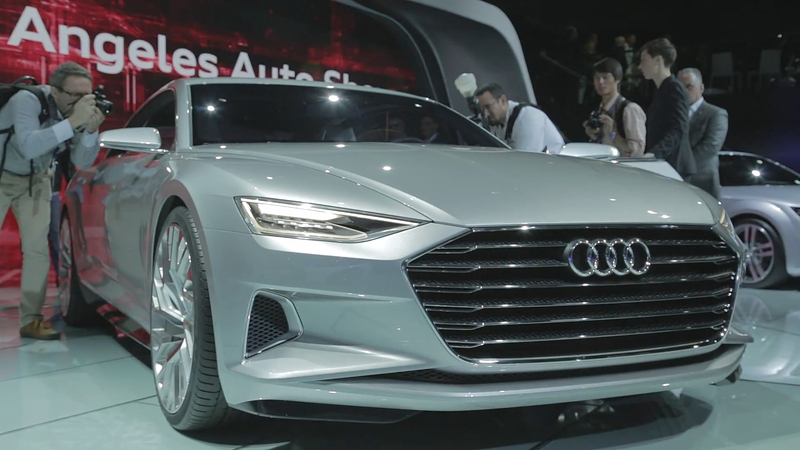 While Rupert Stadler confirmed the next A8 will debut in 2017, he didn't go as far as saying which auto show to expect it at. At this point, Geneva seems like a prime candidate.